The new automated welding cells in chassis prototype construction create spot welds on sub-assemblies and are part of the quality initiative. Dr. Karl-Thomas Neumann put the system into operation; he’s pictured here with (from left) Line Foreman and host Holger Kopp, PPO Director Ziemowit Zakrzewski, and Group Leader Jörn Dengler. The GME Pre Production Operations (PPO) division has introduced an entire range of innovations to optimize pre-series vehicle manufacturing, of which two automated welding cells are the first. Would-be visitors are usually denied access to GME Pre Production Operations (PPO) – 365 days a year, without exceptions. 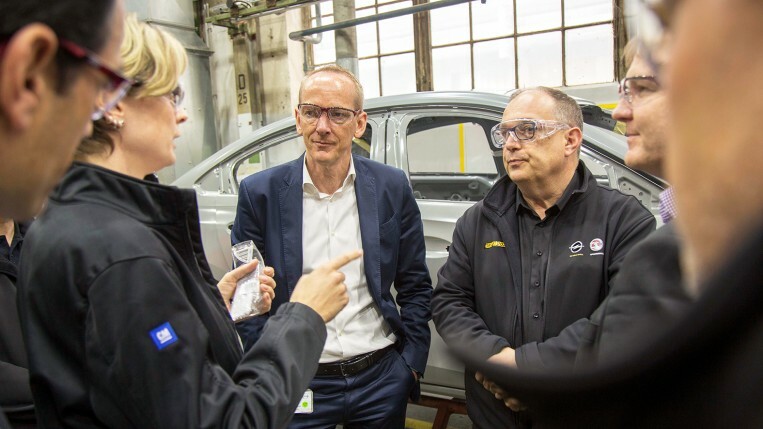 This division builds future Opel models with hardware for the first time at the International Development Center once they have left the development phase. The division includes individual subsections which reflect all of the work steps that are undertaken later on in the production plants. Before actual series production commences, PPO validates individual components, simulates and optimizes later work processes, identifies and addresses potential future problems, and qualifies employees. Group photo with the boss: The component manufacturing employees who work in skeleton construction in I13 together with Dr. Karl-Thomas Neumann, the Head of PPO Skeleton Construction Ralf Wolk, and Rudi Spiess, Executive Director of Production Planning. Outsiders rarely get to take a look behind the scenes at the work undertaken by the 500 employees in this secretive division, which falls under manufacturing, or, more precisely, production planning. 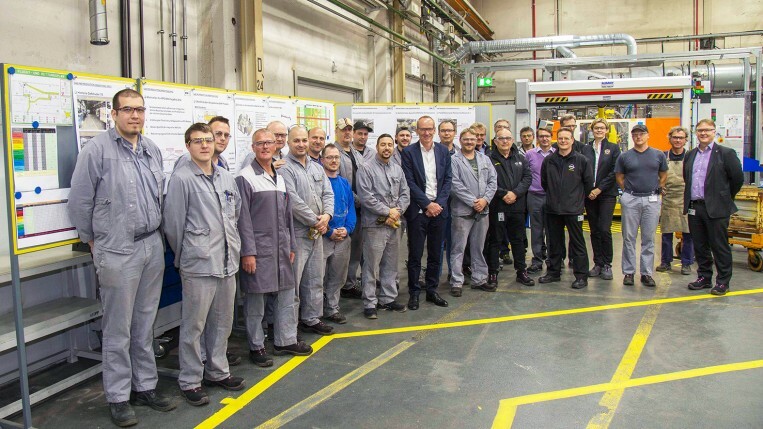 Last week, though, a rare opportunity arose: GM Executive Vice President & President Europe Dr. Karl-Thomas Neumann visited GME Pre Production Operations employees in order to personally put the new automated welding cells in chassis prototype construction into operation. 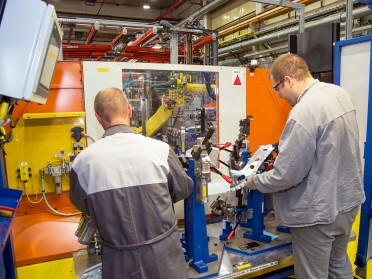 These two high-tech devices create spot welds on sub-assemblies and are part of the Opel quality initiative. PPO has introduced several projects to simulate workflows and processes in subsequent manufacturing even more precisely. These projects include the two new welding cells – new laser welding, laser wave soldering cells, and an automatic welding station will follow this year. The new welding cells ensure that component manufacturing in skeleton construction mirrors work processes in the production facilities even more precisely. The complete package: Ralf Wolk explains the various innovations that will increase flexibility and capacity in PPO skeleton construction. Talking shop: Dr. Karl-Thomas Neumann with Quality Manager Juliane Müller and PPO Director Ziemowit Zakrzewski.